BMW pulls off a terrific little prank on a very lucky 1-Series owner in Singapore. BMW has just released a video of their latest marketing ploy. This video, titled the "Switch," takes place in Singapore and features two young ladies. 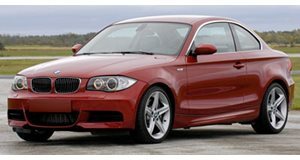 One, the &apos;victim,&apos; is the proud owner of a BMW 1-Series coupe. The other is her friend who plays the role of accomplice to BMW&apos;s car-changing-chicanery. The spot shows the owner bringing her car to work and her friend getting the keys and handing it off to a BMW employee. They switch out her car for a BMW 1-Series Performance model and move it to a different spot to further toy with her. They diligently replaced all her belongings (stickers and license plates included) from one vehicle to the next to further confuse the victim. When she turns her car on, she notices the distinct vroom of the Performance edition and knows something is seriously up. BMW said of their stunt, "The BMW Switch is a fun collaborative project between the public and BMW Asia to switch unsuspecting BMW drivers&apos; current cars with a similar model that has been enhanced with original BMW Performance Accessories." Check out the video complete with hidden cameras and all to see her startled reaction to the classic prank. We have received no word yet as to whether she gets to keep the Performance coupe or not.